Dogs are wonderful. They are goofy and fun and smart and dedicated. Most of the time, they are just fun to be around, but when the situation calls for it, some dogs go above and beyond the call of duty. 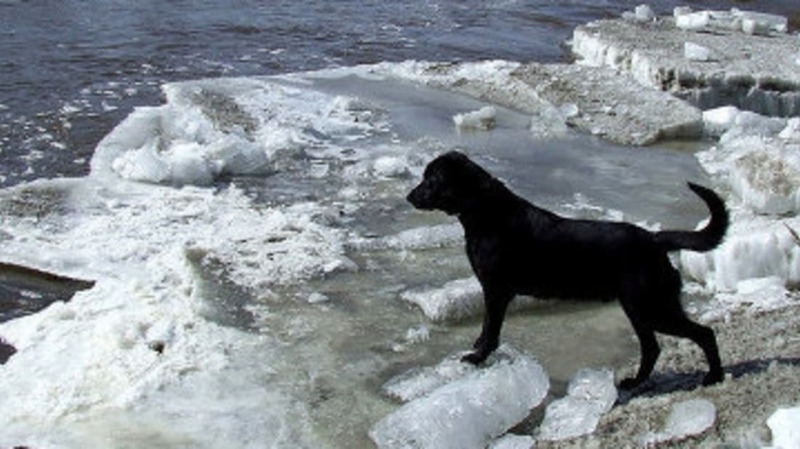 Out of many, many heroic dog tales, here are ten dogs who recently saved someone's life. That's a good dog. Four-year-old Andrei Pavlov was feeding ducks near his home in Krasnoyarsk, Russia, when he fell through the ice into the freezing water of a pond. A stray dog named Naida immediately began barking frantically. Naida had followed Andrei around that day, which Andrei's mother says shows the dog had a premonition of trouble. A woman who feeds the stray dogs of the Siberian city responded to Naida's barking and followed the dog back to the pond. Nearby workers helped her pull the boy out of the freezing water. Andrei spent a few days in the hospital recovering. Naida was adopted by a family that lives 500 km away. The canine adoption was arranged before the near-drowning incident, and the new owners are particularly proud of Naida's heroism. Treo is a retired member of the British military, and a decorated war hero. The black Labrador was a member of the 104 Military Working Dog Support Unit and served in Afghanistan. 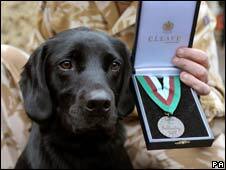 There, the trained sniffer twice found hidden bombs in Helmand province in 2008. Treo was awarded the Dickin Medal, the highest military honor for an animal in Britain, in 2010. Sgt. Dave Heyhoe was Treo's handler in the military, and the two served together in Northern Ireland before being shipped to Afghanistan. When both completed their military service, Treo went home to live with Heyhoe, who said Treo's action saved the lives of many soldiers. Osmar Persisco of Garibaldi, Brazil, took his dog Max out for exercise in a field and was approached by two robbers who demanded his car keys. When Persisco declined, they shot him, grazing the man's head. That's when Max went into action, jumping up to attack the two men. One ran away immediately, the other shot Max twice in the chest and once in the leg before fleeing himself. Persisco rushed his protector to the vet, where Max was successfully treated for his injuries. The DeStefani family of Mays Landing, New Jersey, owe their lives to a small Pomeranian-poodle mix that wasn't even their dog! They were watching Bandit while her owner, Marta DeGennaro, was out of town. Rich DeStefani had put a hairbrush into boiling water to sterilize it, then forgot the pot on the stove when the family went to bed for the night. By 3:30AM, the water was gone and the burning plastic filled the house with toxic smoke. Newly-purchased smoke detectors did not go off. But Bandit jumped up on Jennifer DeStefani as she slept until she awoke and alerted her husband and 9-year-old daughter. One smoke detector finally sounded an alarm- after the fire department arrived! The fire was limited to the stove, but the home sustained serious smoke damage. And Bandit was hailed as a hero. Georgia National Guardsman Chris Duke credits three stray dogs he befriended in Afghanistan with saving his life -and the lives of his entire unit. The dogs, Sasha, Rufus, and Target, raised an alarm as a suicide bomber approached their barracks. The dogs attacked and bit the bomber, who blew himself up before gaining entrance. Sasha was so wounded she had to be put down. The other two recovered from their injuries. 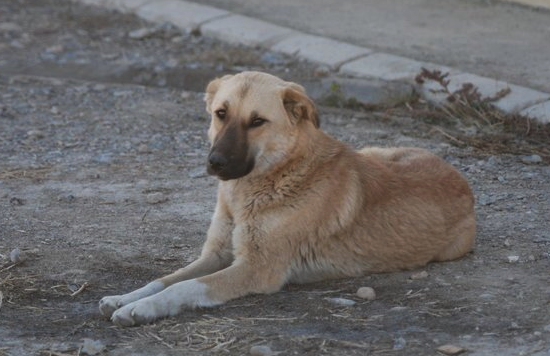 When Duke returned to the US, he told the story of the dogs left behind, which led to a fund-raising effort that successfully brought Rufus and Target to the United States. Rufus went to live with Chris Duke, and Target went to the home of Sgt. Terry Young, another survivor of the incident, in Arizona. Target was not used to being confined. In November of 2010, she escaped from her yard. Someone reported the loose dog, and Target was picked up by animal control. Sgt. Young checked the shelter's website and found the dog, and paid the fine online on a Friday. On Monday, he went to retrieve Target and discovered she had been euthanized by mistake. Target is memorialized at her Facebook page. Ben Heinrichs of Caswell Lakes, Alaska, suffered burns on his face and hand when a spark from a heater ignited gasoline in his car repair shop. Heinrichs ran out and rolled in the snow to extinguish the flames, then went back to make sure his dog Buddy escaped from the burning garage. He told the German shepherd to go get help, and Buddy took off. 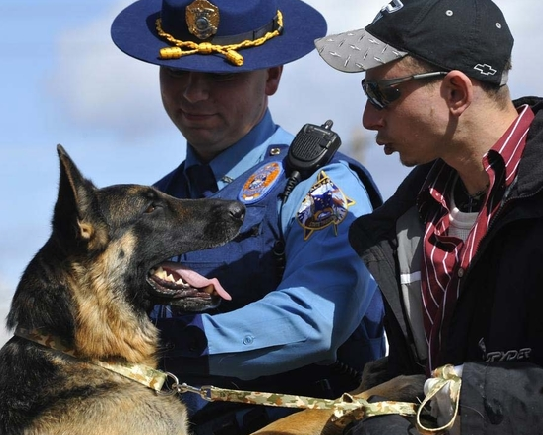 Heinrichs said the dog had no special training, but just knew what needed to be done. Emergency services received a call about the fire, but responding State Trooper Terrence Shanigan couldn't find the garage because his GPS system wasn't working properly. But he saw a frantic dog and followed him on a hunch. The workshop was destroyed, but firefighters saved Heinrichs' nearby home. For his actions, Buddy was honored at a hero's ceremony from the Alaska State Police. You wouldn't think that the act of biting off a man's toe would be a lifesaving act, but that's exactly what happened to Jerry Douthett of Rockford, Michigan. Douthett had been nursing trouble with a toe for months, but hadn't sought medical attention. The toe became infected, and Douthett's wife insisted he have it checked. Douthett agreed, but decided to bolster his courage first with several beers and two giant margaritas. His wife took him home where he passed out in bed. That's when his terrier, Kiko, took matters into his own hands. Or mouth, as it were. Kiko chewed most of Douthett's infected toe off as he slept. When he awoke to find his toe gone, he could no longer put off a trip to the hospital. There, doctors found Douthett's blood sugar to be a dangerously high 560 -when it should be below 120. They also amputated what was left of his toe, since the infection went down to the bone. Douthett's undiagnosed diabetes probably caused him to not feel his toe being chewed off. 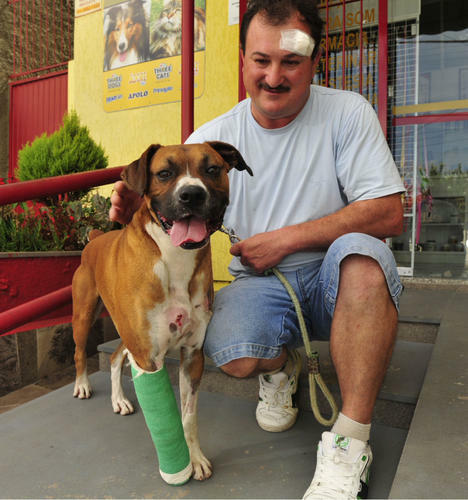 He considered putting Kiko down for his actions, but after considering that the dog inadvertently saved his life, Douthett decided against euthanization. Meanwhile, Douthett is receiving treatment for diabetes, and has sworn off alcohol. But he now wears shoes to bed, just in case. 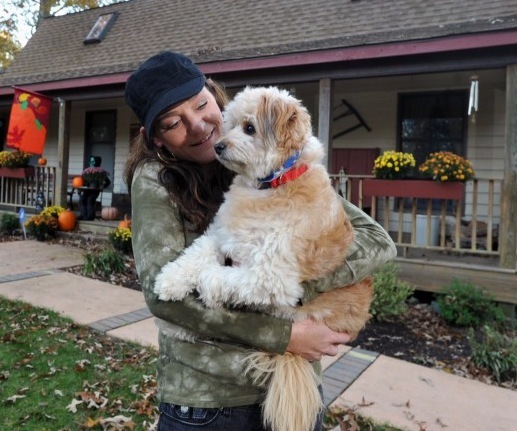 Wendy Rankin of Brackenridge, Pennsylvania has a dog named Hero. After Hero was injured in a traffic accident, Rankin had to make a choice of whether to put her down. The family decided to do what they could to save their dog, which gave Hero an opportunity to live up to her name a few months later. In February, Hero started barking at 3AM, which is very unusual for her. The family woke to find their home on fire! Everyone escaped, but the home was destroyed. The Rankin family credits their survival to Hero. Eleven-year-old Austin Forman of Boston Bar, British Columbia, was saved from a wild cougar by his golden retriever Angel. Austin noticed the dog acting differently on that day, sticking close to him as if she knew of some hidden danger -which was only apparent to humans after the attack. He was gathering firewood in his family's backyard when a cougar charged. Angel leapt into action, fighting the cougar while Austin ran into the house. Austin's mother Sherri Forman called 911 as the battle between cat and dog raged under the backyard deck. A constable in the neighborhood responded quickly and killed the cougar. Angel suffered some deep bites and scratches and was taken to the Sardis Animal Hospital. As she recovered, Austin bought her a big steak for her bravery. 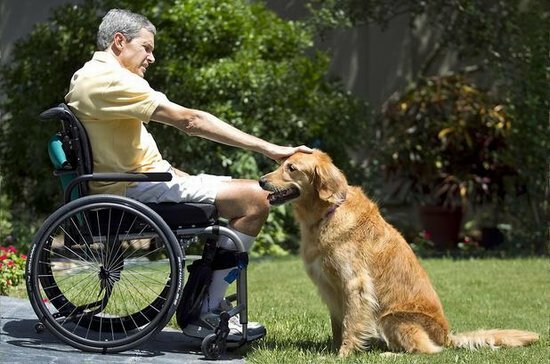 The Humane Society of the United States named Yogi, a golden retriever, the 2011 Valor Dog of the Year for saving his owner's life after a bicycle accident. Paul Horton of Austin, Texas, went over the handlebars on his mountain bike and landed on his head. When he regained consciousness, Yogi was by his side. Horton whispered for Yogi to get help. The dog, reluctant to leave, finally went to the main road and barked at neighbors who were walking by. Bruce and Maggie Tate know Yogi and had never seen him act so frantic, so they followed him back to the place where Horton lay immobile. Doctors found that Horton's vertebrae had pinched his spinal cord, leaving him paralyzed from the chest down. They credit Yogi with saving Horton's life. Horton has since regained some sensation, and has limited use of his arms. And Yogi is still his best friend.